We are happy to release the latest revised draft of Newark’s River: Public Access & Redevelopment Plan (20 mb). This plan updates Newark’s municipal development regulations along five miles of the city’s Passaic Riverfront. It replaces fifty-year-old zoning regulations primarily planned for industrial uses and lacking specific riverfront provisions with a legal framework that allows new uses and mixes of uses, consolidates design standards to create valuable urban places, and provides for public access as required by federal and state law. Following the release of the public draft on February 27, 2012, a public information session was held at Newark City Hall on March 13, and public comments were collected until March 26. The following draft, released on June 4, 2012, included many small changes made in response to these comments. A public hearing on this plan was held by the Newark Central Planning Board on Monday, June 11, 2012. This current revision, dated April 20, 2013, includes minor textual and graphic clarifications, has been submitted for consideration by the Municipal Council. This entry was posted in Rules for Development on April 20, 2013 by NRR. 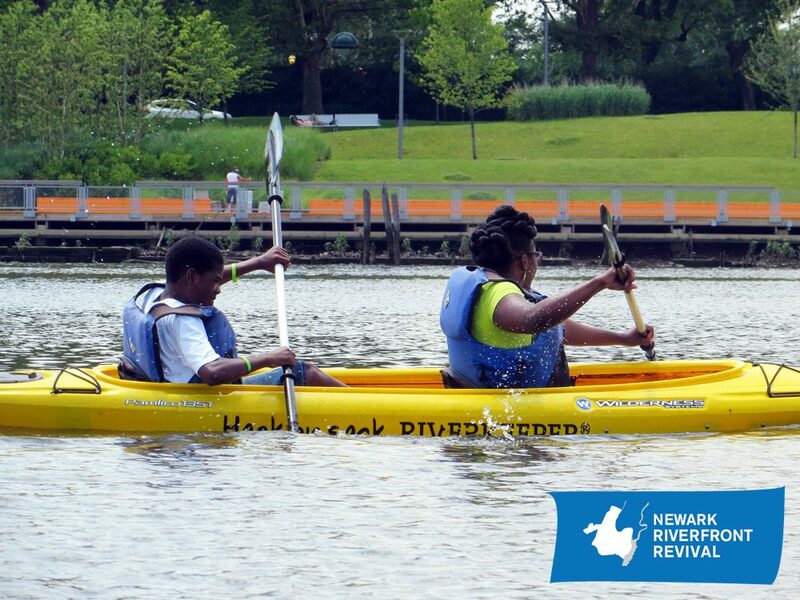 We are happy to release the public draft of Newark’s River: A Public Access & Redevelopment Plan. This plan updates Newark’s municipal development regulations along five miles of the city’s Passaic Riverfront. It replaces fifty-year-old zoning regulations primarily planned for industrial uses and lacking specific riverfront provisions with a legal framework that allows new uses and mixes of uses, consolidates design standards to create valuable urban places, and provides for public access as required by federal and state law. Download the draft plan here (PDF, 17 mb). On Tuesday, March 13, 2012, 6 pm, there will be a public information session at Newark City Hall, 920 Broad Street, first floor rotunda. Please RSVP to (973) 733-3917 or newarkriverfront [at] gmail.com. Questions and comments on the draft are requested by 5 pm on Tuesday, March 26, 2012 to the email or postal address below. For ease of communication, please reference the page number(s) your comment addresses. After the comment period ends, a revised draft will be submitted for approval to the Newark Central Planning Board and the Newark Municipal Council. This entry was posted in Rules for Development on February 27, 2012 by NRR.